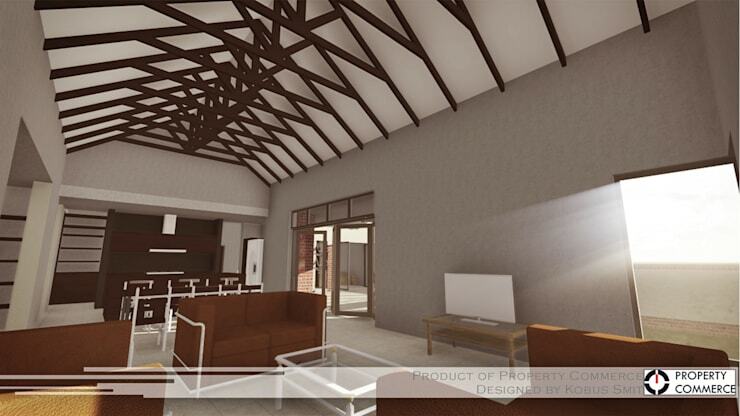 We’re off to the Wild Olive Estate in Bloemfontein for our newest homify 360°, homify’s daily source of inspiration for your architectural- and interior design needs. 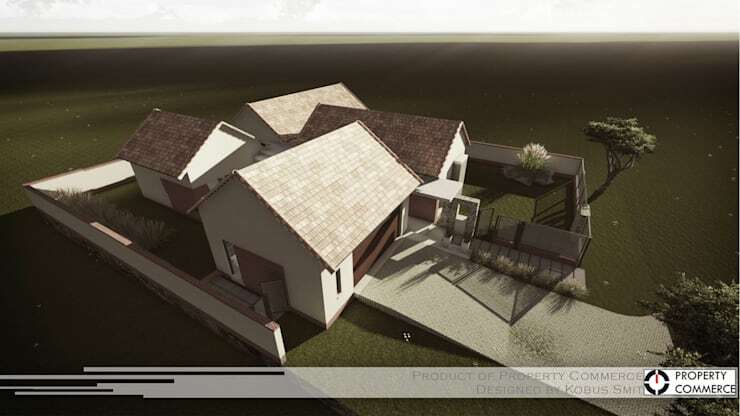 Well, technically this design is a 3D rendering of a proposed option for an estate dwelling inside the Wild Olive Estate, but it still provides a decent idea of the style, size and design to be expected for this modern dream home. We kick off this discovery at the back, for it is here where an amazing patio awaits us. 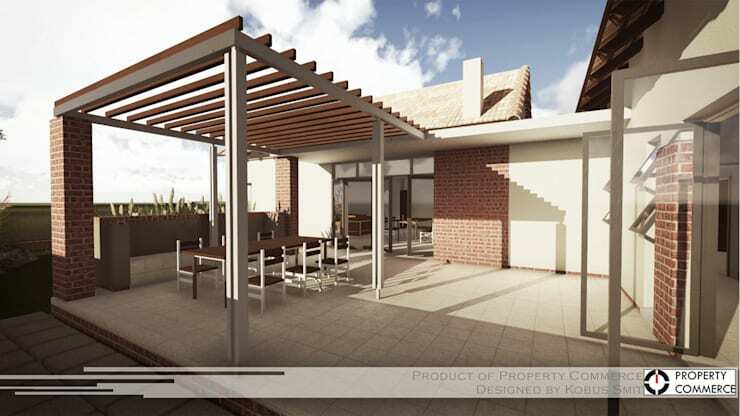 With its open-plan layout, this design features all the winning requirements to be both stylish and practical: adequate legroom, a stunning pergola (with a ceiling/roof that can be closed up should one require more shading), an exterior dining set, a fabulous built-in braai, etc. Of course that dream patio is not the only noteworthy element on the outside – just see how much potential is flaunted with the spacious yard. Would you add in a swimming pool? A jungle gym for the kids? Or is it perfect as is? We float through the glass doors from the patio and into the open-plan layout which consists of a kitchen, dining area and living room. And what do you think about those fantastic wooden features that ensure quite the eye-catching touches all around? 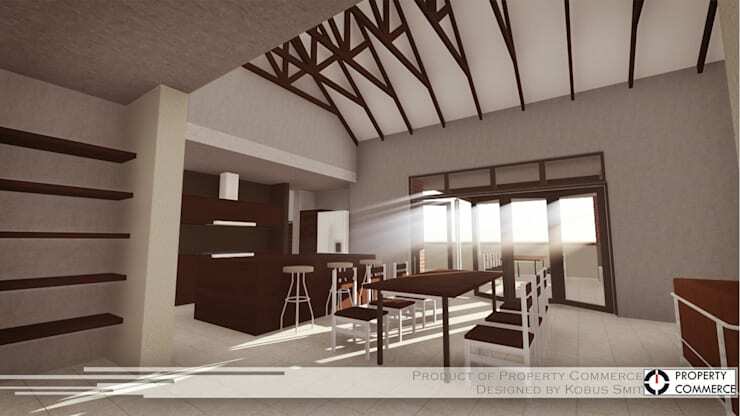 Ceiling beams, dining table, floating shelving… so many terrific timber touches to speak of! 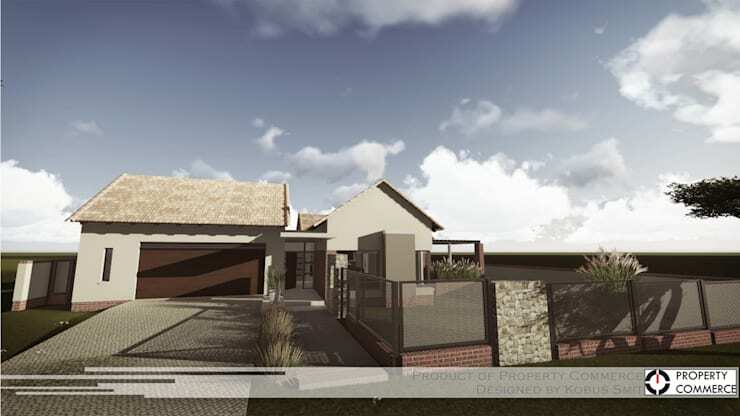 Let’s have a look at a few more renderings that speak of this dream design. 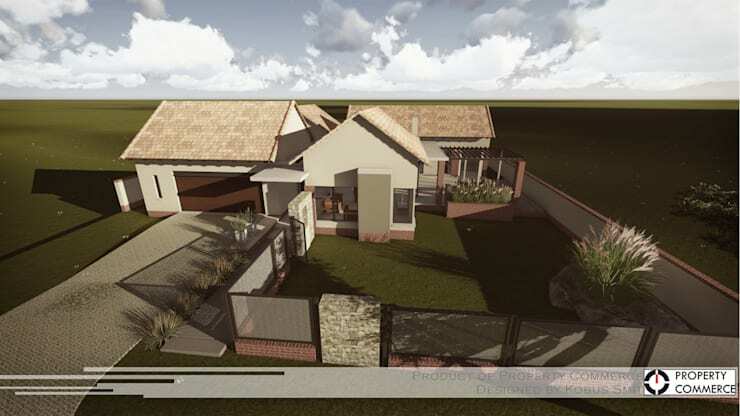 From stunning renderings to a real-life design, see The inspiring style of House Cunningham in Johannesburg.